The Aramith Crown Standard Billiard Ball Set features the quality you'd expect from Aramith at a lower price. 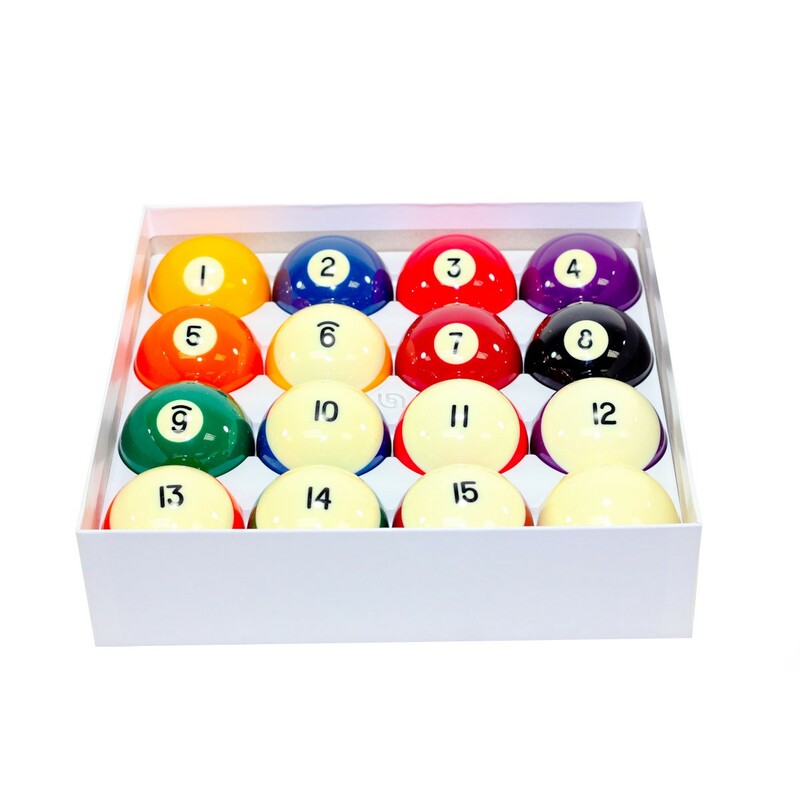 Manufactured by the world's largest ball producer, this set is made of high quality cast phenolic resin and contains 15 regulation 2-1/4-inch table balls and an Aramith cue ball. Numbers are printed in the field. Aramith standards ensure that each ball has perfect roundness and balance; uniform weight and hardness; brilliant colors; friction resistant roll and reaction. Play your best with Aramith billiard balls.